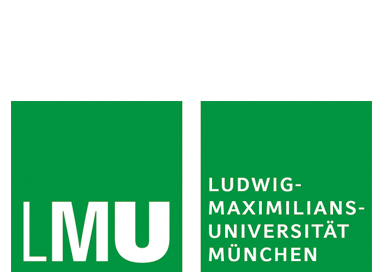 Romy Fröhlich is full professor at the Institute of Communication Studies and Media Research, LMU Munich. She has built a national and international reputation for her work on the influence of (political) public relations on media coverage/journalism, as well as her work on the media coverage of war and violence. A special emphasis of her work relates to gender sensitive aspects. Romy Fröhlich is part of a international network of scholars that has published, amongst others, two edited volumes: “Journalism education in Europe and North America” (Hampton; co-edited with Christina Holtz-Bacha) and “Women journalists in the Western world” (Hampton; co-edited with Sue Lafky). She is currently editing a handbook on “Media, conflict and security” (Routledge) together with Piers Robinson (Uni Manchester, UIK) and Philip Seib (Uni Southern California, USA) and is editor of one of Germany’s main textbooks on the theory and practice of public relations (VS Verlag; co-edited with Günter Bentele and Peter Szyszka). 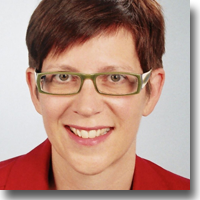 Romy Fröhlich is the project coordinator of the INFOCORE consortium and chair of its Executive Board. Within INFOCORE, Dr. Fröhlich leads WP6 on the role of strategic communication, and WP10 on project management. Thomas Hanitzsch is Chair and Professor of Communication at the Institute of Communication Studies and Media Research, LMU Munich. A former journalist himself, Dr. Hanitzsch has worked extensively on peace journalism and conflict coverage. 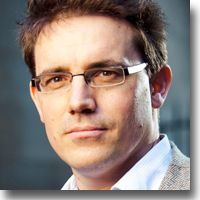 He is also an experienced researcher in the area of comparative media research. Dr. Hanitzsch is the editor of The Handbook of Journalism Studies (2009) and The Handbook of Comparative Communication Research (2012). Dr. Hanitzsch founded and chaired the Journalism Studies Division of the International Communication Association, and is currently chairing the Journalism Studies Section of the European Communication Research and Education Association. He is also the Editor-in-Chief of the journal Communication Theory. Within INFOCORE, Dr. Hanitzsch is the leader of the WP1 focusing on the production of news coverage. He is also member of INFOCORE’s Data Monitoring Board. 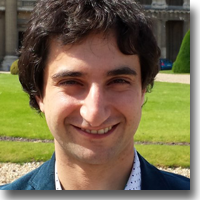 Abit Hoxha is a doctoral researcher in Media and Conflict at the Institute of Communication Studies and Media Research, LMU Munich. His primary research interests are news production, conflict and peace journalism and qualitative media research. Abit Hoxha studied Defense, Development and Diplomacy (Msc) at the Durham Global Security Institute at the Durham University in UK where he wrote his thesis on ‘Islam and Social Movements in Kosovo: A Social Movement Theory approach’, Journalism and Communication at the Kosovo Institute of Journalism and Communication (MA) where he wrote his thesis on ‘Reporting in Kosovo: war and post-war’ and Political Science (BA) at the University of Prishtina in Kosovo. He also worked for various international and local organizations in Kosovo including UNDP, World Bank, Kosovo Center for Security Studies etc. 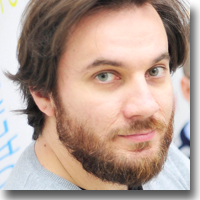 Within the INFOCORE project Abit Hoxha is a doctoral researcher focusing on the analysis of news production in a conflict environment. 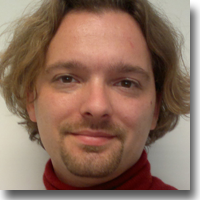 Marc Jungblut is a doctoral researcher in strategic communication at the Ludwig-Maximilians-University Munich. His primary research interests are political communication, framing analysis and quantitative media research. Marc Jungblut studied Media, Film and Psychology at the Johannes Gutenberg-University in Mainz and at the New School in New York. His final thesis analyzed the framing in the media coverage of small political parties in Germany. During his studies Marc Jungblut worked as an assistant researcher at Johannes Gutenberg-University, the New School and the Knowledge Media Research Center in Tübingen. Additionally he received scholarships from the German National Academic Foundation, the German Academic Exchange Service as well as a departmental merit scholarship of the New School. 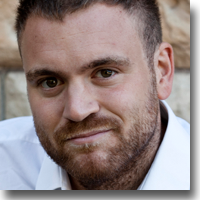 Within the INFOCORE project Marc Jungblut is a doctoral researcher focusing on the analysis of strategic communication in a conflict environment. Katsiaryna Stalpouskaya is a doctoral student at the Institute for Communication Studies and Media Research, LMU Munich. She obtained her BA in Linguistic and Country Studies from Belarusian State University the School of Foreign Relations. In 2011 she was awarded Chinese Government scholarship to complete master degree at Tsinghua University, Beijing, majoring in Computational Linguistics. Katsiaryna Stalpouskaya has worked as a computational linguist focusing mainly on information retrieval and sentiment analysis. Within INFOCORE project Katsiaryna Stalpouskaya works on the implementation of the automated content analytic strategy, applying computational language processing techniques for text analysis. 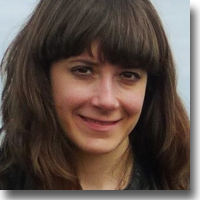 Ieva Zakareviciute is a PhD researcher at the Ludwig Maximilians University holding a scholarship from Gerda Henkel Stiftung. She studies visual representations of violent conflicts and imagery diffusion in various media, primarily focusing on conflicts in the Middle East. In 2011 she graduated from Vilnius University Institute of International Relations and Political Sciences. She earned MA degree in Social Anthropology from Vytautas Magnus University in Kaunas in 2013. During her studies she mainly focused on the Middle East region and conducted fieldworks in Israel, Palestine and Egypt. During her professional years she also worked as a consultant for Communication and Information Sector at UNESCO Office in Cairo and contributed to various media outlets. 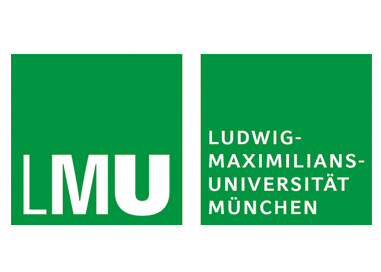 Christin Döring-Mazraani is Project Manager at the Institute of Communication Studies and Media Research, LMU Munich. She has profound experience in managing international and large-sized projects. She is familiar with EU procedures and used to work with interdisciplinary teams. Christin Döring-Mazraani studied Business Administration at the University of Applied Sciences Ludwigshafen am Rhein. In her professional career, she has specialized in managing international projects, which included the acquisition and the implementation of projects. She has gained extensive experience in the cooperation with contractors such as China Development Bank, EU, EIB, KfW, GIZ and World Bank. Within INCFOCRE, Christin Döring-Mazraani is in charge for the project management. She is responsible for the financial, legal and administrative aspects of the project. Christin is in charge for managing the interaction between all partners and the EU commission. Christoph Meyer is Professor of European and International Politics, King’s College London. He is also currently the Head of European & International Studies. Christoph Meyer has worked extensively at the intersection of European foreign and security policy and political communication. He has published widely on mediatized foreign and security policy debates in European countries and their implications for the convergence in national use-of-force norms. Prof. Meyer was the PI of the FORESIGHT project on early warning and conflict prevention. He published in leading journals in European Studies (e.g., JCMS, JEPP), International Relations (ISQ, EJIR), as well as in journals relating to political communication (MWC). Previously, Christoph Meyer, has worked at Birkbeck College London, the Centre of European Policy Studies, the University of Cologne, and the Max Planck Institute for the Study of Society. Before his academic career, Dr Meyer has worked in foreign affairs journalism including for the Neue Zürcher Zeitung. He has been active in policy debates through opinion pieces published in the Financial Times and the International Herald Tribune and authored or co-authored studies for the European Commission and the European Parliament relating to external communication and citizenship. 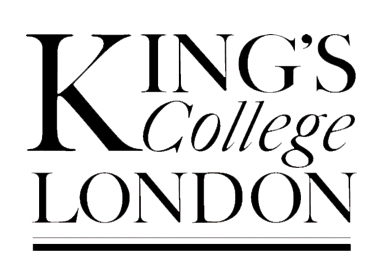 Christoph Meyer acts as Principal Investigator for KCL, working on the role of NGOs as sources of media coverage and as media-like actors in their own right together with a research fellow. He will also look at the contribution the new media can make to high quality open source intelligence. Eva Strickmann is a Research Associate in European & International Studies at King’s College London, where she contributes, together with Christoph Meyer and Eric Sangar, to WP4. 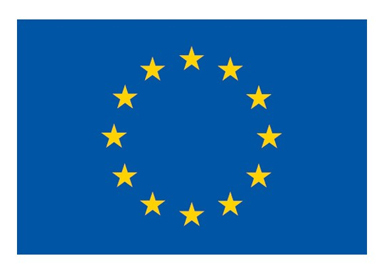 Apart from contributing to research on the role of NGOs as sources of media coverage and media-like actors, Eva explores how the EU draws and acts upon open-source intelligence through an analysis of conflict news. She analyses EU strategies and capabilities for OSINT gathering and discusses how these practices have affected European intelligence cooperation and fed into EU foreign policy-making in the areas of early warning & conflict prevention, conflict management and resolution. 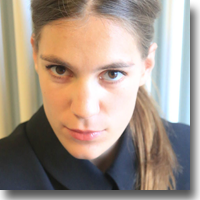 Eva completed her PhD on British and French behaviour in the preparation phase for EU military operations in Africa (case studies DRC and Mali) at the War Studies department of KCL and also works as a Teaching Fellow in European foreign policy. 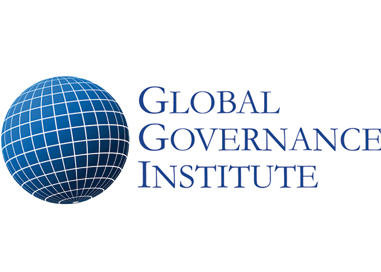 Earlier experience includes working on European and African security for different think tanks and teaching at the ESSCA School of Management in Paris and Angers. Eva has a keen interest in foreign policy, strategy, conflict analysis and theoretical approaches to IR. 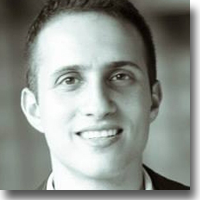 Eric Sangar is a FNRS research fellow affiliated with the Tocqueville Chair of International Security at the University of Namur (Belgium). 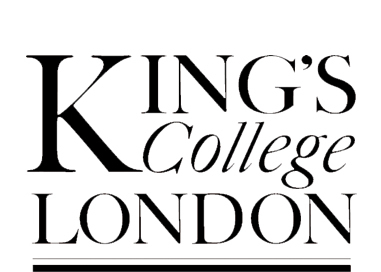 Since late 2015, Eric Sangar has been an associated member of INFOCORE, after being a full project member as a research associate at King’s College London. Working with Christoph Meyer, Eric contributes to the analysis of NGOs in their roles as media sources and independent media actors in debates on armed conflict. Beyond INFOCORE, Eric is currently focussing on the influence of collective memory on media discourses and political decision-making in contemporary conflict. He worked previously as a Fernand Braudel Fellow at the Institut de Recherche Stratégique de l’Ecole Militaire (IRSEM) in Paris, and at the Department of International Relations at the University of Stuttgart, where he collaborated with Cathleen Kantner in the project “Multiple collective identities in international debates about war and peace since the end of the Cold War”. Eric holds an MA degree in International Security from Sciences Po Paris and a doctoral degree from the European University Institute. The book version of his PhD thesis, entitled “Historical Experience: Burden or Bonus in Today’s Wars? The British Army and the German Bundeswehr in Afghanistan”, was published in 2014. Gadi Wolfsfeld is Professor of Communicationa at the Interdisciplinary Center (IDC), Herzliya, and Professor Emeritus in Political Science and Communication at the Hebrew University of Jerusalem. Professor Wolfsfeld is an expert in the role of the media in political conflict and in peace processes and has written four books and numerous articles on the topic. He has conducted and managed a large number of associated research projects during the 30 years he spent as a professor at the Hebrew University of Jerusalem. He has both used and taught both quantitative and qualitative methods including experiments, surveys, in-depth interviews, and participant observations. His key publications that are relevant to INFOCORE include “Media and Political Conflict: News from the Middle East” (1997), “Media and the Path to Peace” (2004), “Social Media and the Arab Spring” (with Tamir Sheafer and Elad Segev), and “Enemies also Get Their Say: Press Performance During Political Crises” (with Meital Balmas and Tamir Sheafer). 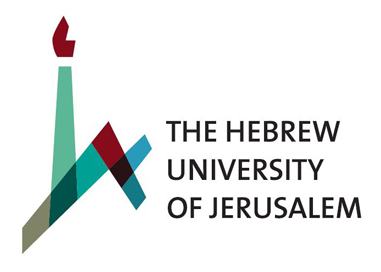 Professor Wolfsfeld served as director of two different research institutions at Hebrew University: the Smart Family Institute of Communication, as well as the Levi Eshkol Institute for Social, Economic, and Political Research in Israel. He was also selected to be a senior research fellow at the United States Institute of Peace and a research fellow at the Shorenstein Center for Press and Politics at Harvard University. Professor Wolfsfeld was also elected to be the prestigious position of chair of the political communication section of the American Political Science Association. He serves on three editorial boards: Political Communication, the International Journal of Press/Politics, and Media, Conflict, and War. Professor Wolfsfeld is in charge of WP2, with focusses on political actors and officials in their double role as sources/advocates and audiences/users. He is also one of the two INFOCORE experts (together with Keren Tenenboim-Weinblatt) for the Middle East conflicts. 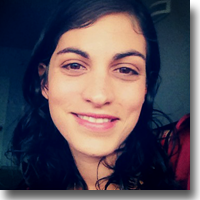 Yarden Raz holds a Master of communication studies at Tel-Aviv University and is currently completing her MA in social psychology. Her main interest is political psychology. 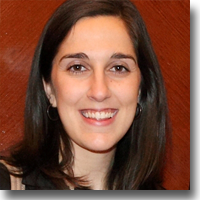 Her research focuses on perpetual in-group victimhood orientation in the context of the Israeli-Arab conflict. Her contribution to the INFOCORE project is primarily to the interviews with politicians. 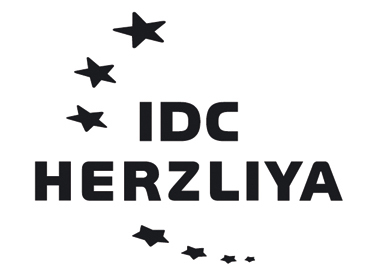 Linor Tsifroni holds a Master in political communication studies from the Interdisciplinary Center (IDC), Herzliya, and a BA in political science from Tel-Aviv University. Her main interest is political communication and political advertising & the age of new media. Her contribution to the INFOCORE project is primarily to the interviews with politicians. Keren Tenenboim-Weinblatt is Assistant Professor at the Department of Communication and Journalism, The Hebrew University of Jerusalem. She has specialized in comparative analyses of content-based journalistic practices, particularly in conflict-related contexts, and is an expert on mixed-method approaches to analyzing news discourse. In “Bridging Collective Memories and Public Agendas” and “The Management of Visibility” she develops a new framework for understanding the roles played by the news media in constructing social narratives and shaping agendas for action. Keren Tenenboim-Weinblatt received her PhD from the Annenberg School for Communication at the University of Pennsylvania. Her dissertation, on the media coverage of kidnapping and captivity cases around the world, has won the Outstanding Dissertation Award of the International Communication Association’s Political Communication Division. 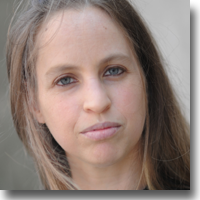 Within INFOCORE, Keren Tenenboim-Weinblatt is PI for the Hebrew University and WP-Leader for WP7 on Journalistic Transformation. Drawing on her areas of expertise, she will lead the comparative analysis of the selection, transformation, and dissemination of conflict-related information, interpretations, and agendas in news content. She is also member of INFOCORE’s Executive Board. Christian Baden is a Senior Lecturer at the Hebrew University of Jerusalem. He has specialized in the analysis of the collaborative construction of interpretative frames and their temporal evolution in public discourse. He is experienced in both qualitative and quantitative techniques for the analysis of discourse texts. In “The Evolutionary Factor Analysis of Semantic Frames”, he develops an innovative strategy for the dynamic analysis of large scale textual data. Dr. Baden has obtained his PhD at the University of Amsterdam with a dissertation advancing theory and operational measurement on the transmission of frames. Previously, he has worked as a Marie Curie Fellow at the Hebrew University, with a project on frame resonance in conflict-related discourse (RECORD), and before that, as an assistant professor at LMU. 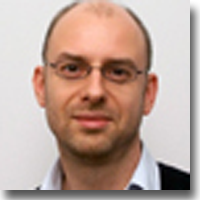 Within INFOCORE, Dr. Baden is in charge of the automated content analysis strategy of WPs 5-8. His expertise on framing, frame evolution and transmission will be instumental for reconstructing the dissemination proess of conflict-related interpretations. Dr. Baden is member of INFOCORE’s Executive Board. 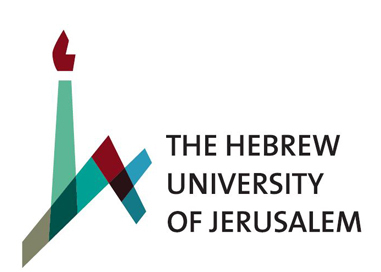 Yonatan Gonen is currently completing his MA in communication at the Hebrew University of Jerusalem, focusing in his research on the representation of the Israeli-Palestinian conflict in the Palestinian news media. He holds a BA in Islamic and Middle Eastern studies and communication, and has a deep familiarity with the Arab news media. Yonatan Gonen worked as a journalist in leading Israeli news organizations (Channel 10 and Ynet), focusing on events in the Arab world. In the duration of the INFOCORE project he contributes primarily to the content analysis of the Palestinian and Syrian news coverage, and works toward his PhD. Dimitra Dimitrakopoulou is a Research Fellow at the Hellenic Foundation for European and Foreign Policy (ELIAMEP) and a Lecturer at the School of Journalism and Mass Communication at Aristotle University of Thessaloniki (AUTh). She specializes in social media and networks and their dynamics for media, journalism and social movements, including the dissemination of hate speech on social media platforms. Dimitra Dimitrakopoulou has obtained her PhD at the Aristotle University of Thessaloniki with her thesis on the impact of the Internet on the role and the profession of journalists. For the year 2011 she was awarded with the Scholarship of Excellence as a postdoctoral fellow from the Research Committee of AUTh for her research project on new media literacy. She has worked as a researcher for EU projects and is involved in international networks and projects as lead researcher and coordinator for Greece. Within INFOCORE, Dimitra Dimitrakopoulou acts as PI for ELIAMEP and WP-Leader for WP5 (Social Media). 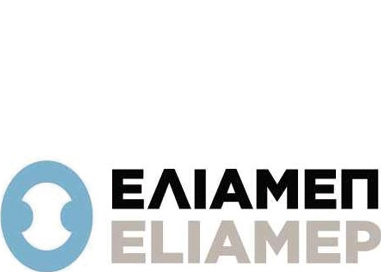 Salome Boukala is a postdoctoral researcher at the Hellenic Foundation for European and Foreign Policy (ELIAMEP). She was awarded her PhD from Lancaster University and the Department of Linguistics and English Language. Prior to that, she completed a Masters in Media and Communications at the University of Leicester (UK), and a BA in Social Policy and Social Anthropology at Panteion University (Greece). She has also worked as an international news expert for various media in Greece and was interested in the roles the media play in the representation of conflict regions, such as the Middle East. Salome has published several papers related to both Critical Discourse Analysis and political science that appeared in Discourse & Society and the Journal of Language and Politics. Currently, she is working on the role of social media in the Greek election campaign (2015). 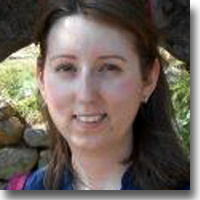 Within the INFOCORE project, she focuses on the discourse analysis of social media (WP5). 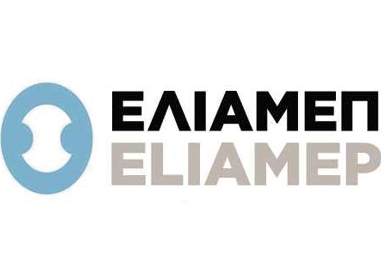 Alexandra Nikolakopoulou participates in the INFOCORE team at ELIAMEP as a junior research assistant. Her main duties include conducting desk research, selecting and collecting material from social media and networks and taking care of matters related to the management of the project. Alexandra has a degree in International and European Relations and a Master’s degree in Southeast European Studies, both from the University of Athens. In the past, she has held various administrative positions at ELIAMEP and elsewhere. 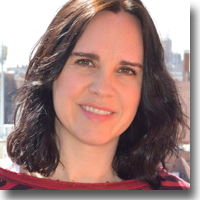 Her research interests include conflict resolution, identity and civic education. 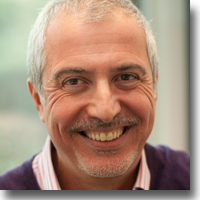 Prof. Dr. Georgios Terzis (associate professor, senior expert at GGI) is the founding Chair of the Journalism Studies Section of the European Communication Research and Education Association (ECREA). He has worked in conflict resolution and journalist training for Search for Common Ground, as well as with many CSOs in media assistance and peacebuilding in a wide range of conflicts. 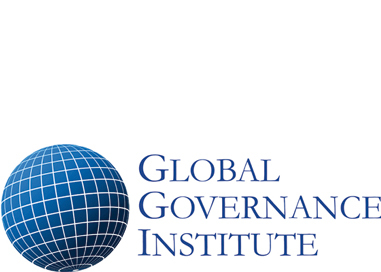 Georgios Terzis acts as PI for GGI and WP-Leader for WP9. 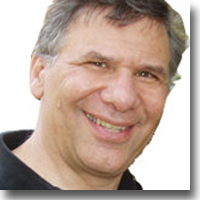 George Terzis is leading the administration and coordination of WP9. He coordinates INFOCORE’s dissemination activities, including the organization of workshops, seminars, conferences, etc. (with associated stakeholders) and the dissemination of direct communication media (WP9). He is also member of INFOCORE’s Executive Board. 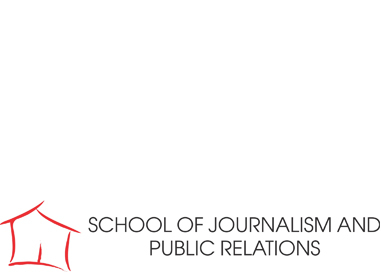 Snezana Trpevska is an Assistant Professor at the School of Journalism and Public Relations (SJPR) from Skopje. She specialized in Research Methodology in Social Sciences with a special emphasis on quantitative and qualitative methods in the study of audience reception and audience interpretations of news content. Trpevska holds a PhD in Sociology from the University “St. Cyril and Methodius”, Faculty of Philosophy in Skopje. Her dissertation addressed the application of mixed method approach in the study of TV coverage. She is the head of the UNESCO Chair in Media, Dialogue and Mutual Understanding established at the SJPR from 2011, where she leads the research program focused on the role of the media in promoting tolerance and social cohesion in the Macedonian multicultural society. As an expert in Media Law and Media Policy she has also conducted many applied research projects related to freedom of expression, media pluralism, media ownership and media concentration, as well as to different aspects of media regulation. Within the INFOCORE Snezana Trpevska is co-chairing the WP3 focused on the study of the lay publics, their interpretations and their role in the creation of conflict related news. 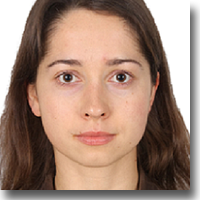 Trpevska is a member of INFOCORE’s Data Monitoring Board. 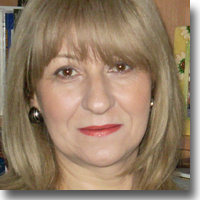 Lidija Georgieva is a Professor at the Faculty of Philosophy (FzF), University Sts. Cyril and Methodius (UKIM), in Skopje. She specialized in peace and conflict research with emphasis on collective security, preventive diplomacy, conflict prevention and peacebuilding. 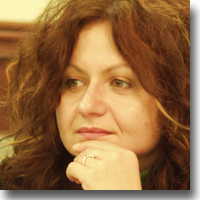 Georgieva holds a PhD in Defense studies from UKIM, Faculty of Philosophy in Skopje. Her dissertation addressed neorealist and constructivist approaches to security and preventive diplomacy after the Cold War. She was a post-doctoral Fulbright scholar at the University of Maryland at the School for International Security Studies and the Center for International Development and Conflict Management. 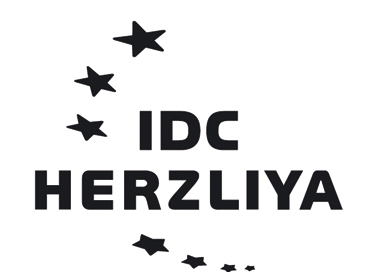 Georgieva is the Head of the UNESCO Chair in Intercultural Studies and Research at FzF. As an expert in Peace and Conflict Research and Conflict Prevention and Peacebuilding, she has conducted research on the role of preventive deployment, peacebuilding and security sector reforms, gender and security, and intercultural education. She also teaches Theory of peace and conflict, Conflict Analysis and Resolution and European Security on graduate and post graduate level. Her input in the INFOCORE project is to contribute to the writing of the integrated report from the focus groups and to the writing of the comparative research report from the surveys. 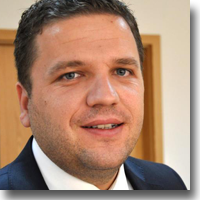 Igor Micevski is a Lecturer and a Researcher at the School of Journalism and Public Relations (SJPR) in Skopje. He teaches radio-journalism and his field of academic interest is the deconstruction of nationalist discourses in media coverage. He is particularly concerned with the construction of ethnocentric narratives through the media and their political or conflict utilization. He has experience in qualitative research. He holds a Master of Science degree in Comparative politics (Nationalism and Ethnicity) from the London School of Economics and Political Science (LSE) at the Department of Government. Igor Micevski has a decade long experience in journalism, most notably he was a political editor at the Forum weekly newspaper in Skopje and a journalist/producer at the BBC World Service in London. His input in the INFOCORE project is to contribute to the identification of the roles of lay publics in construction and interpretation of conflict news and to participate in the framework for the analysis of the cases of Macedonia and Kosovo. Igor Micevski is also a member of INFOCORE’s Executive Board. Zaneta Trajkoska is a Senior Lecturer and Director at the School of Journalism and Public Relations (SJPR) in Skopje. She teaches Communication Strategies and Planning and she is a part of the research team within the UNESCO Chair in Media, Dialogue and Mutual Understanding. Currently she is a PhD candidate at the University of Sts. “Cyril and Methodius”, Faculty of Law “Iustinianus Primus”, at the Institute for Political Studies. She is completing her PhD thesis on the “Characteristics and significance of ‘spinning’ in creation of media reality in Macedonia”.Trajkoska’s particular field of interest is the interaction between media and politics. She is also focused on the issue of political communication and manipulation, construction of public opinion and the links between public relations and journalism. She is one of the founders of the SJPR. Prior to that she has served as a Managing Director of the Macedonian Institute for Media and has had a decade long experience as a journalist in various media outlets in the country. Her contribution in the INFORCORE focuses on the study of the lay publics, their interpretations and comparative analysis of data. 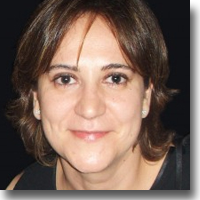 Rosa Berganza is a Full Professor and Chair of Political Communication in the Department of Communication Sciences 2 at the University of Rey Juan Carlos (URJC, Madrid, Spain). Her research primarily focuses on political communication, content analysis, transnational comparative studies of media and journalism, European Union campaigns, election coverage and campaigning, media effects and public opinion and women and the media. 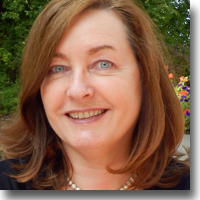 Her recent works include articles published in international peer-reviewed journals containing cross-national studies from a comparative perspective including Journal of Communication (2012), International Journal of Press/Politics (2012), Journalism (2012), Journalism & Mass Communication Quarterly (2010), Journalism Studies (2011), Journal of Political Marketing (2009); and European Journal of Communication (2008). Between 2010 and 2013 she was the Delegate of the President of URJC for E-Learning Degrees and Gender Policies. 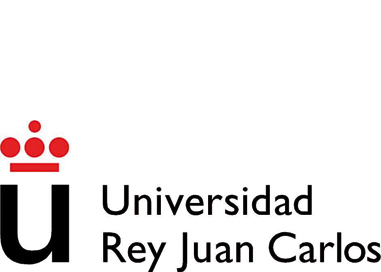 Between 2007 and 2010 she was Vice-Dean at the Faculty of Communication Sciences at URJC. Currently she is the President of the Full Professors’ Association at URJC. Between 2010 and 2013, she was member of the editorial board of the International Journal of Public Opinion Research (IJPOR). Now she is member of the editorial board of the Journal of Political Marketing and Executive Board Member of ACOP (Asociación de Comunicación Política). She is also member of the Network of European Political Communication Scholars (NEPOCS). 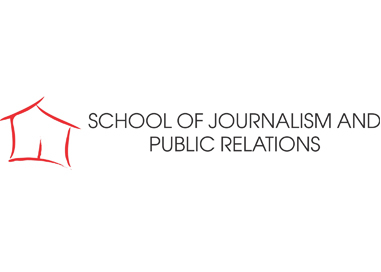 She has won a Top Paper Award from the Journalism Studies Division of the International Communication Association for the paper “Explaining journalists’ trust in public institutions across 20 countries: Media freedom, corruption and ownership matter most” (with T. Hanitzsch). Rosa Berganza leads INFOCORE’s WP8 “Reception of News”, which analyzes how evidential claims, frames, and agendas in the news coverage are received and re-used by political actors in the political discourse. Rosa Berganza is also a member of INFOCORE’s Executive Board. 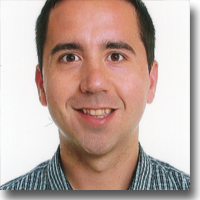 Carlos Arcila Calderón is a postdoctoral researcher at the Universidad Rey Juan Carlos (URJC) (Spain). He is editor of the Anuario Electrónico de Estudios en Comunicación Social “Disertaciones”. He obtained his PhD in Communications at Universidad Complutense de Madrid and a Master’s degree in Journalism by Universidad Rey Juan Carlos. He has been a lecturer at Universidad del Rosario (Colombia), Universidad de Los Andes (Venezuela) and Universidad del Norte (Colombia), associated researcher at the Universidad Católica Andrés Bello (Venezuela) and visiting lecturer at Universidad Nacional de Educación a Distancia (UNED) (Spain), Universidad de Santiago (Spain) and Universidade Estadual Paulista (Brasil). His main research topics are digital media and social uses of technologies. 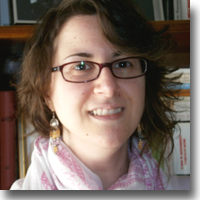 Eva Lavín de las Heras is an Associate Professor in the Department of Communication Sciences at Camilo José Cela University and a postdoctoral researcher at the Universidad Rey Juan Carlos (URJC), both in Madrid, Spain. She holds a PhD in Communication from the Camilo José Cela University and her dissertation addressed how New Technology applied to War Journalism. She also worked as a TV Producer for more than 10 years, being the last 7 years the producer in charge of the evening daily news of La Sexta, one of the main nationwide private Spanish TV Station and she covered the Arab Spring demonstrations in El Cairo (Egypt) during February 2011. Eva did a research stay at the Pontifical Catholic University of Argentina (Buenos Aires) working on the Falklands War coverage. Her primary research interests are in New Media studies, Communication and conflicts. In recent years, she has participated in national and international conferences and her papers have been published in JCR and Scopus journals on Communication. Her contribution to INFOCORE will be in WP8. 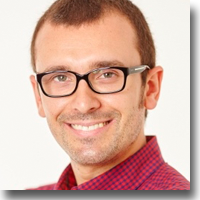 Valeriano Piñeiro-Naval is currently a postdoctoral researcher at the University Rey Juan Carlos (URJC, Madrid). He has got a Degree in Advertising and Public Relations (University of Vigo, 2008), and a Degree in Audiovisual Communication (University of Salamanca, 2009). 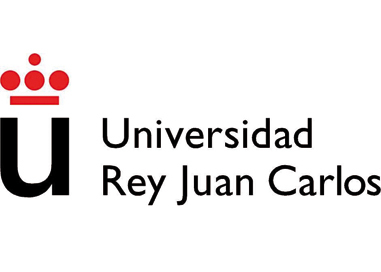 He obtained his Ph.D. in Audiovisual Communication, Technological Revolution and Cultural Change at the University of Salamanca (2015). During his pre-doctoral period, he has been a member of the Research Group “Observatory for Audiovisual Contents” (USAL), taking part in International and National Research Projects, conferences and scientific publications. In 2015, Valeriano did a research stay at the “LabCom.IFP”, a research unit in the area of Communication at the University of Beira Interior (Portugal); a fact that allowed him to obtain the European Mention in his doctorate (Doctor Europeus). 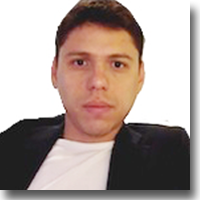 His main research topics are digital culture and media, and web content analysis of institutional websites. His main contribution in the INFOCORE project is data analysis with SPSS (Statistical Package for the Social Sciences) at WP8. 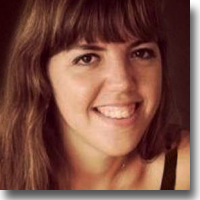 Cristina López Navas is a postdoctoral researcher at the Universidad Rey Juan Carlos (URJC) in Madrid. In 2011, she was awarded a Master degree in Social Communication by the Universidad Complutense de Madrid (UCM) and in 2015, she completed her PhD in Communication Studies by Universidad Complutense de Madrid (UCM). Her primary research interests are in new media & society studies, focused on virtualization and globalization. Between 2011 and 2014, she held a FPU grant, a excellence PhD scholarship scheme funded by the Spanish Ministry of Education. During her pre-doctoral period, she has been a member of the Research Group “Social Identities & Communication” (UCM), taking part in National R&D projects, conferences and scientific publications. Cristina did two research stays at University of Notre Dame in London (UK) in 2012 and 2013. Her contribution to INFOCORE will be analyzing how policy debates are affected by media discourses (WP8). Adolfo Carratalá is Assistant Professor of Journalism at the University of Valencia. Previously, he has been post-doctoral researcher at the Rey Juan Carlos University (URJC) in Madrid and Associate Professor of Communication at the International University of La Rioja (UNIR). He holds a PhD in Journalism from the University of Valencia (UV). His dissertation addressed how conservative media covered the political and social conflict that took place in Spain between 2004 and 2008 due to the implementation of the subject Education for Citizenship. His doctoral thesis was awarded by the Spanish Society of Journalism. During the pre-doctoral stage, Adolfo did two research stays at the University of Glasgow and the Boston College. In recent years, he has participated in more than fifteen national and international conferences and has published a dozen papers in some of the most important scientific journals on Communication in Spain. His primary research interests are communication and conflicts, media and social movements, journalistic discourse and frame analysis. His input in the INFOCORE project is to contribute to the study of how news is received and re-used in policy debates (WP8). Beatriz Herrero is a Visiting Professor of Journalism and Film Studies at the University Rovira i Virgili in Tarragona, Spain. Prior to this, she has been post-doctoral researcher at the Universidad Rey Juan Carlos (URJC) in Madrid. She holds a PhD in Information Sciences from Universidad Complutense in Madrid, where she taught as honorary collaborator and actively participated in the organization of several workshops and seminars. She also worked as a journalist in Spanish newspapers and news agencies. During her pre-doctoral period, Beatriz has completed two investigation stages at Universitat Autònoma of Barcelona and L´Université de Toulouse II, le Mirail (France). She has participated in more than a dozen national and international conferences and her papers have been published in some important Spanish journals on communication and also in international books. 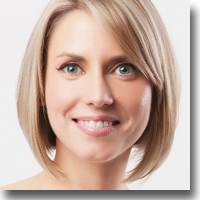 Her primary research interests are the analysis of the media discourses, media effects and women and the media. Her contribution in the INFOCORE project is to analyze how policy debates are affected by media discourses (WP8). 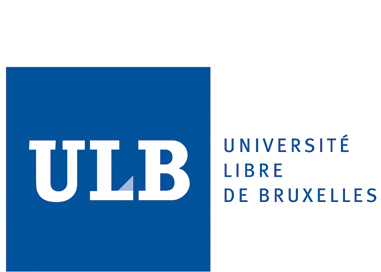 Marie-Soleil Frère is Senior Research Associate at the National Fund for Scientific Research in Belgium and Professor at the Université libre de Bruxelles (ULB). 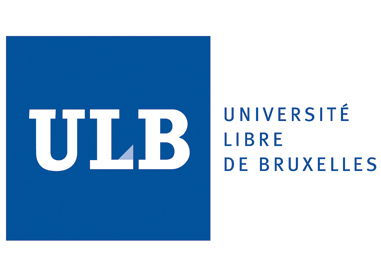 She is teaching at the Department of Information and Communication Sciences and is the Director of the Research Centre in Information and Communication (ReSIC) at ULB. Her research focuses on the role played by the media in democratic processes, conflicts, elections and social changes in Francophone Africa. In particular, she has conducted research about the role of the media in conflicts and in post-conflict electoral contexts in Central Africa. 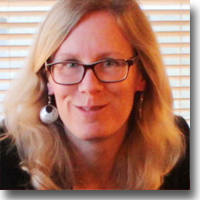 She has published Media and Conflicts in Central Africa (Boulder, Lynne Rienner, 2007) and Elections and the Media in Post-conflict Africa (London, Zed Books, 2009). Marie-Soleil Frère’s background and experiences have always associated an academic career and the management of media development projects in Africa. From 1997 to 2000, she worked in Burkina Faso for the Belgian foreign aid, contributing to the establishment of a Journalism school at he University of Ouagadougou. From 2001 to 2004, she worked as a programm officer at the International Organization of the Francophone Countries (OIF), in Paris, in charge of the media support projects. She has also worked as an expert for many international NGOs and published a range of manuals for African journalists, as well as several reports on media assistance and ICTs in Central Africa. 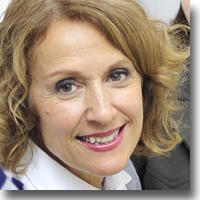 Within INFOCORE, Marie-Soleil Frère is co-leading WP3 on Media and Publics together with Snezana Trpevska (SJPR). Moreover, she will be in charge of collecting the data and implementing the part of the research focusing on the two cases studies in Central Africa (Democratic Republic of the Congo and Burundi). 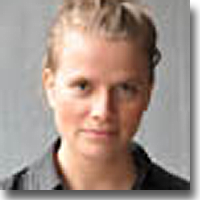 Anke Fiedler is a post-doctoral researcher at the University of Brussels. She holds a doctoral degree from the University of Munich where she has also worked as a lecturer and researcher. Prior to her academic career, she worked for the UNESCO Headquarters in Paris and the UNESCO Iraq Office in Amman. Within the INFOCORE project, she is in charge of the data collection in Burundi and the Democratic Republic of Congo. 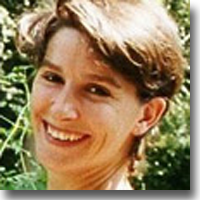 Anke Fiedler is a member of the WP3 team addressing the role of Lay Publics.